Tito Puente Latin Music Series | IBA Boston | Inquilinos Boricuas en Acción empowers and engages individuals and families to improve their lives through high-quality affordable housing, education, and arts programs. At the first sign of warm weather, Boston comes alive with Latin music across various parks in the city. Our free six-concert series with heavy salsa influence features world-renowned musicians from Berklee and beyond. Remember to RSVP on Facebook below! The Mambo Rican Group will have you on your feet from the moment they start to play! Music by Tito Puente, La Lupe, Machito, and other great artists that defined the mambo genre will be featured by a band composed by Latin all stars and strong upcoming artists that will be leading this genre in the near future. Directed by Lolivone de la Rosa. 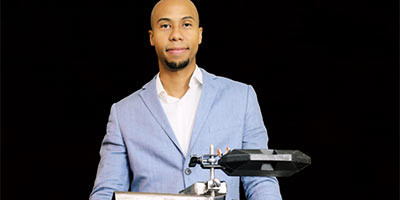 Gilenny Gi is a Dominican Bachata and Merengue singer with a long career in music. She will be playing with Percussionist and Band Leader, Eric Germàn who has performed with Cheo Feliciano, Andy Montañez, Ismael Miranda among others. Facebook RSVP link coming soon! An exciting mixture of musical styles to create a refreshing new sound in Afro-Latin and World music through songs of celebration and social conscience. 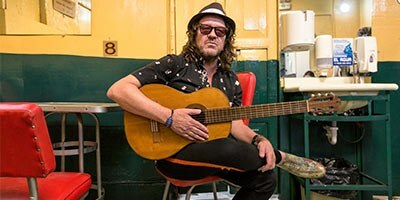 Alex Alvear & Mango Blue is a high-powered, all-original music ensemble that has delighted audiences and promoters alike throughout the Americas with its infectious sound. “3nity” decided to come together and create the first Latin female band in Boston. Their music is defined in 3 different cultures, Latin, American and African. 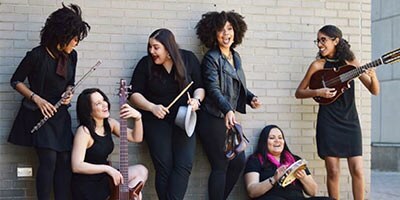 Boston based Female All-Star Band, 3nity, is made up of Zahili Zamora (pianist/vocalist), Irisley Gomez (bassist/vocals), from Cuba, Zayra Pola (drummer/Vocalist), Fabiola Mendez (cuatro/vocals) from Puerto Rico, Karolina Meireles (percussion) from Brazil, and Anggie Obin (flute) from Panama. They recently opened for El Gran Combo from Puerto Rico. Experience an upbeat communion of Cumbia, Vallenato, Rancheras, Jazz, and Pop. 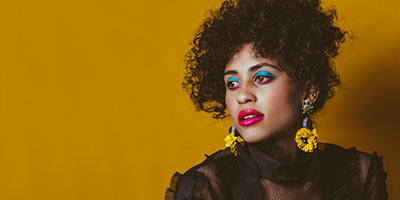 Colombian artist Alea is a progressive and pioneering Latin folk artist whose music arrests listeners with an authentic soulful sound. Alongside brilliant musicians Sinuhé Padilla-Isunza and Franco Pinna, Alea delivers a high energy performance that travels through many countries in Latin America. These artists recreate rich Latin culture with buttery vocals, deep-rooted grooves, holistic guitar conversations and riveting sax and clarinet performances. 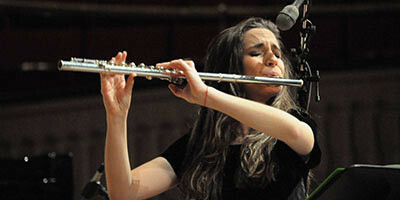 Born in Havana, Sheila del Bosque Fuentes is one of the most of in-demand young flutists in Cuba, having played for important personalities like Pope Francis, Usher, Bon Jovi, and The Rolling Stones. 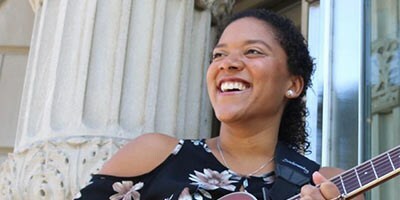 Awarded a full-tuition scholarship, she entered Boston’s Berklee College of Music in January 2018 where she has had the opportunity to share the stage with musicians like Paquito d’ Rivera, Berta Rojas, and Omar Hakim. Her music is a mix of worlds, a selection of contemporary and traditional Afro-Cuban music with some European and Jazz ingredients.